The starting point of this project was the break-up of REVEALING WEB, a band I was part of, and which has its final line up as Giana Araújo (vocals), Leandro Furtado and Henrique Mendes (guitars), Marcos Eichler (bass), André Geléia (drums) and myself (keys and vocals). Francisco Falcon and myself were then starting a band, initially a power trio, ELP-alike, with us dividing the vocal parts. A few months after REVEALING WEB break-up, I started to think that not recording the songs we had made then, would be a waste. We changed the concept of the new band, asking Giana to join us. Everyone was involved with different bands and musical projects, so I took the front of SLEEPWALKER SUN, making new songs, and rearranging the old ones, mixing them with new passages. I recorded the demos with my PC, and that was it. It was ready for entering the studio. But before it, I needed to call in other musicians. Rodrigo Martinho was the first to join me, Francisco and Giana. It was a natural choice, as we played together in 2112, a RUSH cover band. We would also record the songs at his studio. Most of guitars were played by Leandro Furtado and Fabio Montserrat. Leandro was also a key part of REVEALING WEB, with great contributions in composition land. Fabio is also a great friend, and helped a lot during the demo era, recording the guitar solos. But I wished the contribution of two fantastic guitarists from Niterói, Alex Martinho and Ricardo Marins, that didn't hesitate at accepting my invitation, recording both superb leads and rhythm guitars. 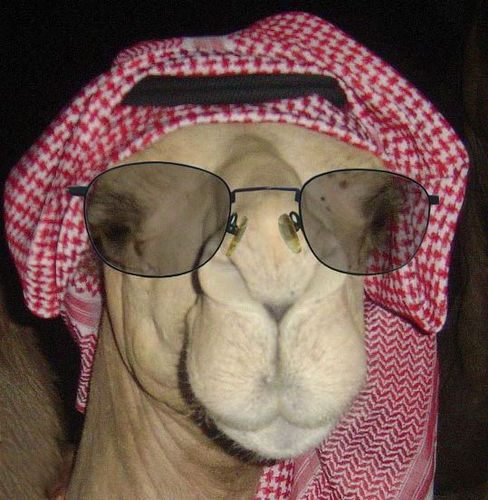 Those weren't the only special guests. Andre Mello, from brazilian prog band TEMPUS FUGIT, made a great Moog-ish solo in "Nocturnal" and Ricardo Aguiar (TERRA MOLHADA) made special the backings from the same song. At last, but not least, a super special appearance from brazilian prog monster Marcus Viana, which can be heard in "Jalen's Eyes" and "Blindfold". Everyone made a terrific job and I have no words to thank them properly. I just play it and listen. This is an interesting progrock project from Brazil featuring Marcus Viana from Sagrado and Andre Mello from Tempus Fugit. The captivating and alternating music alternates between classical, symphonic rock and progmetal. Brazilian prog rock/metal scene for almost 4 decadesis a busy scene, there are lots of bands from this country, some of them mediocre , some ok, but are some really excellent. From later category is Sleepwalker Sun. A prog rock band with some prog metal influences here and there with two albums in their pockets so far. Stranger in the mirror is the second offer from 2010 and I must confess I've like a lot what I've heared here. Female vocals, long complicated instrumental arrangements, the title track is a little monster of a piece clocking around 20 min in lengh with any ingredients must have a prog band these days to really make something intresting, a total winner for my ears. Very unnoticed album, there are plenty of memorable passages and qyuite fantastic musicinship most of the time, nice vocal parts aswell. What I like very much is that they toying with an amazing ease diffrent genres, I mean they do sound like a metalized symphonic prog band, very much similar with mexican prog band Toccata for example. This band to me is quite unnoticed, both albums are well worth invistigated, nothing close to masterpice but more then ok to most pretencious listenrs. 3 stars rounded to 3.5 for sure. 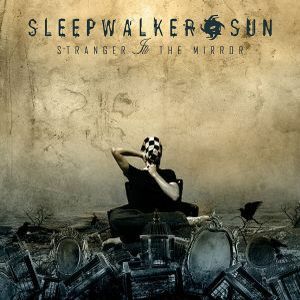 I was none too fussed with the first Sleepwalker Sun album and in fact my disappointment was such that I shelved my copy of ''Stranger In The Mirror'' until finally listening to it today. In comparison with the slightly dull experience of their debut, ''Stranger In The Mirror'' is a major step forward for this Brazilian prog-metal band. The main issue I had with their first release was the rather nasal intonation of Giana Araújo's vocals, although that problem seems less evident on this disc; her voice doesn't grate on me here the way it did on the debut. They've also cranked the song writing up a notch or two with the megalithic title-track being an obvious highlight. The band's strength remains its musicianship though; all tracks are full of motion and activity, with Luiz Alvim's shimmering Mellotron seemingly radiating from every track. This release should have strong appeal for fans of symphonic prog, especially those who like it on the heavy side. I don't know whether I'm simply a blockhead or if I need a bite of a reality sandwich, but I don't think there's a great deal of metal on offer here. No matter how Sleepwalker Sun are categorised I'm surprised to see that ''Stranger In The Mirror'' has only garnered one review so far. Anyway, it's the business and it doesn't deserve to be banished to obscurity so hopefully some readers will at least visit the band's website to check out their mp3 samples. I'm new to the genre, and I'm not sure if this album is atypical, but I expected a progressive metal album to feature more... metal! A lot of the material here is truly symphonic with many acoustic passages and that surprised me. That should make Sleepwalker Sun's debut ideal for me, but I have a few issues with the album. Female singer Giana Araujo's voice has a rather nasal tone and all lyrics are in English. Her voice isn't that big a deal but I do prefer bands to sing in the vernacular (Portuguese in the case of this Brazilian band). There is the additional problem here that the English vocals are often unclear and the lyrics are at times incoherent, although the lyrics are reproduced in the booklet that comes with the cd. As far as the music is concerned, the highlight is Marcus Viana's guest appearance on BLINDFOLD where his lyrical violin passages contrast with the aggressive metal guitar sections. The violin with Mellotron-choir backing around the 9-minute mark is sublime. The other songs are nicely structured, for example BRING 'EM is built around acoustic guitar arpeggios and synth/piano lines with heavy guitar riffs bursting through intermittently. This is all well and good but the melodies on some of the songs just aren't that memorable and for me there's too great a reliance placed on uninspired guitar riffs. One of the best of those riffs comes during the closing section of RUSSIAN ROULETTE, although NOCTURNAL delivers the goods as well and it also features a nifty Moog solo by Tempus Fugit's Andre Mello. Overall, this isn't a bad album and Sleepwalker Sun are without doubt highly competent musicians. When I think about it, I guess that even the dodgy lyrics are just standard fare for a prog band. I have to admit it has taken me a long time to decode both Sleepwalker Sun albums. The reason is that this both their albums is strictly not progressive metal albums. Yes, there are some Dream Theater esque music here. But there is also a lot of other stuff here. A lot ! Gosh. Where do I start ? Let's start with the vocalist Giana Araújo. She sounds like a cross breed between Dido and Dolores of Cranberries. In other words; she is not a progressive metal vocalist in any shape whatsoever. In her voice, Sleepwalker Sun deviates radically from the progressive metal genre and ventures into something else again. This something else is broadly speaking symphonic prog and rock/pop. Then the guitars and the synths drags the band back into Dream Theater territory now and then. The ballads here is very Dido like and would not be too much out of order on one of her albums. My question is therefore: Is this album a muddle or a blend of everything ? Hence I have taken my time to listen to it because this album balances on a knife edge in many ways. The difference between this album and their debut is that this album does not have the stand out track like the title track from the debut album. But overall, their new album is stronger. There are some great pieces of music here inbetween some strange choices they have made. The ballads here is simply no good and drags down the quality of the album. Then again, they gives Sleepwalker Sun an identity. It also proves that Giana Araújo is a brilliant vocalist. The same can be said about the rest of the band. The quality of the deliverances here is outstanding. So, this album is brilliant at places and have some pretty good songs too. In this respect, Sleepwalker Sun reminds be a lot about Jaimie Rosas Cuarteto. That band too is transgressing the genres. Maybe both of them are on a mission to renew the pretty stagnant progressive metal genre. 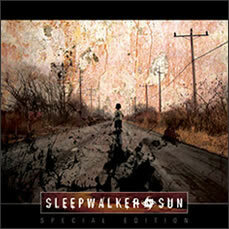 In this respect, Sleepwalker Sun is doing a pioneering job on this album. Hence my four stars. But Sleepwalker Sun is certainly not a commercial band and others may regard this album as a muddle. It nearly is, truth to be told. But in my view, it is a great album and I hope both Sleepwalker Sun and other bands continue down the path this band had cleared on their two albums. Well, actually, it is not. Sleepwalker Sun is one of the bands which transgress all borders. Yes, they sounds like Dream Theater too. But they are not quite a progressive metal band. I am not so sure if the more casual listener want to be challenged like Sleepwalker Sun's music challenges the listener. Because their music is not easy to penetrate. I have used several days to find out which band their female vocalist sounds like. I finally found the answer just before I was about to go mental. Sleepwalker Sun is fronted by the female vocalist Giana Araújo. An excellent vocalist, btw. But she is not a progressive metal vocalist in any form or in any shape. So when the excellent guitarist goes on a John Petrucci like run, Giana pulls the band in another direction again. It creates strains in the sound and gives Sleepwalker Sun a multi faceted artistic expression. Giana reminds me a lot about Dolores O'Riordan in The Cranberries. Which is a good thing. Yes, the band sounds like Dream Theater at times and this album would appeal to their fans too. 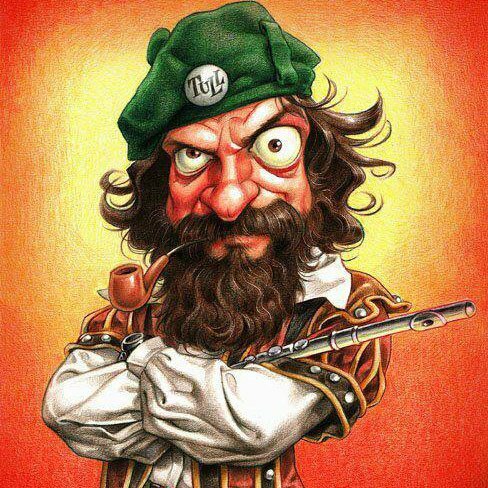 But they also sounds like Tempus Fugit, Pendragon, Yes and Jaime Rosas Cuarteto too. With the vocals sounding more like indie and The Cranberries, this is not the run of the mill progressive metal album. The quality of the music is superb throughout, though. I have to admit I have played this album far more than ten times and I plead guilty to the accusations of really liking this album. I like it a lot, in fact. I like the vocals and the guitars solos here. I think the title track is brilliant. I like the sound. In fact, I find no weaknesses on this album. It is not a masterpiece. But for those who are into challenging progressive rock somewhere between Symphonic Prog, Neo Prog and progressive metal; this album is an excellent choice. There is no weak songs here and not a single dull moment. This is a superb debut album from a band who does neither follow the norms or the conventions. 01. Blindfold The Progressive Metal Sleepwalker Sun begins calm and serene, being guided by the voice of Giana Araújo. After the initial quiet time the weight comes into play, this time the vocals are shared with Luiz Alvim, a big surprise in this track is the violin of Marcus Viana (Sagrado Coração da Terra) making their presence felt, and rightly so. The song is strong, well written, complex and intelligent. It is common to progressive metal bands being wrong in their arrangements and sounds. Definitely not the case here. 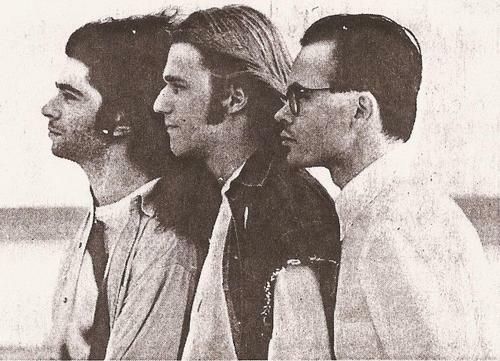 In the second half of the track, after a stop, the keys from Luiz is present with the bass solo by Francisco Falcon, the heavy guitars in this song are for Ricardo Marins. Beautiful track, all the elements are well placed, united and well arranged. 14:24 minutes of pure musical delight. 02. Bring 'Em The band has as main component in this track the acoustic guitar by the bassist Francisco, along with the keyboards and the vocal from Giana that is how the verses unfold. The chorus is heavy and cohesive. At the end the rhythm changes, is fast and broken, a sort of spiral sound, the solos are from Fabio Montserrat. 03. Sleepwalker Sun The song that gives name to the disc and the band starts with the bass chords and keys building layers. When the guitar and drums enter the sound becomes dense for a time and back to calm when the singing begins. The chorus is 'crooked', lyrics and melody do not fall on purpose. The disc is full of guests, especially the guitars, the title track of the soil is responsible for Alex Martin, soon followed by a synthesizer solo and chorus again. The end has a series of vocal 'outsiders'. 04. Dead Flowers A ballad with voice and piano, only the 2nd verse there are changes, with several voices, a broken rhythm and a very interesting and quirky vocal effects. The chorus is very melodic but 'in the sound pattern' of the band. 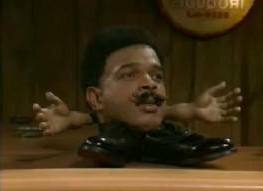 The guitar solos are from Leandro Leg Furtado. An interesting bass solo is also present just before the last chorus. Complete. 05. Russian Roulette This reminded me of early Dream Theater, which is not a problem because the Sleepwalker Sun have originality and Dream Theater is the largest, and in a a way the precursor from Prog Metal style. I just think that they open many concessions to the vocals, every time a verse is sung the song 'calm down', lose weight, only back in the choruses, just turning a formula and can tire the listener. 06. Jalen's Eyes The piano begins the song, it's the shortest song of the disc, and the excellent violin Marcus Viana appears for a brief moment, but back to the course of music. Giana gave a beautiful interpretation for the song, which is very beautiful by the way! 07. Nocturnal So here is one thing that I like and that could be used more often, excerpts from conversations of a number of different people, this idea has also been widely used by bands like Pain Of Salvation and Dream Theater, and the classic bands like Pink Floyd. Nocturnal has some differences such as the harpsichord (one of many types of keyboards available) and the eletric guitar played as a classical guitar. The solos of the band (this time the keyboard) was led by Andre Mello (Tempus Fugit). A good record, well above the average in the style, I've heard many progressive metal bands here in Brazil, but they are always wrong in my opinion, especially with vocals and keyboards. In this case we have a great example of how to make a good hard progressive metal. As a lover of progressive metal and of brazilian progressive rock, it was only natural that sooner or later i would buy this album, after all it is a brazilian progressive metal album. However, what drove me to this album, what made me buy it, was the beatiful slipcase and cover, just incredibly eye-catching. When I asked to listen to the album at the store, I took the oportunity to see the bookelet and it was also pretty good. Since the first two songs were pretty good, I decided to buy the album, but when I listened to it carefully for the first time I had a major disappontment: their lead vocalist (Giana Araújo) sings with her nose (she support her singing with the nose), what is definitely NOT good. That can be seen more clearly in the third song, called Sleepwalker Sun. However, more than a year after the day I bought the album have passed and now I realise that the vocalist problem isn't as bad as it looked at first. Sure her singing its not perfect, but even though that is a downside, she still have some qualities, like having a great diction and a considerably sweet voice. Moving on, like most progressive metal albums out there, the most impressive feature of this album (and most probably the most impressive feature of this band, but they still need to release other albums to make me sure about it) are the instrumental parts. 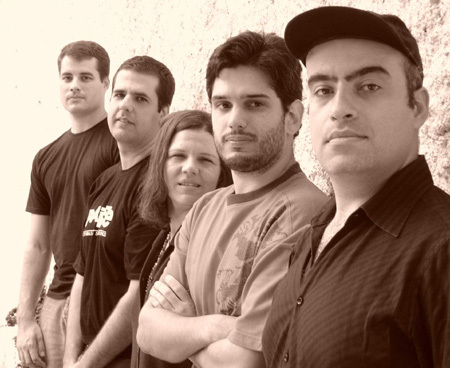 The (core) band seems very cohere and top notch, although having a large amount of invited / featured musicians, like the Sagrado Coração da Terra violinist Marcus Viana and the Tempus Fugit keyboardist André Mello, but that does not interfere negatively in the overall quality of the album, au contraire, it works in favor of the album. It is also important to note that all the album has a dark atmosphere. Don't know quite why, maybe because minor keys are used in most songs throughout the album and also the vocals sound, somehow, gothic. Despite the initial problem with the vocals, I realised that Sleepwalker Sun is actually a pretty good album and, therefore, should be graded as such. 4 stars then. This is an interesting Brasilian musical project featuring violin player Marcus Viana from SAGRADO and Andre Mello from TEMPUS FUGIT. I had heard many positive stories about this CD and was very curious to hear it finally! Well, from the very first moment I was struck by their sound, this is very good progrock and deserves more attention! This eponymous debut CD contains seven alternating and dynamic compositions (between 4 and 15 minutes): from dreamy or compelling to bombastic and propulsive with often a great tension between the majestic violin and heavy electric guitar. The music delivers many shifting moods and accelarations, most of the time fluent and bombastic and loaded with great guitar work (fiery and biting soli and heavy riffs) and a huge portion of sumptuous keyboards. The female singer Giana Araujo does a good job but I prefer her singing in the more mellow parts. My highlights are the exciting opener Blindfold (great contrast between the classical violin - and electric guitar sound), Russian Roulette (wonderful Mellotron waves), the mellow Jalen's Eyes (beautiful classical violin and piano) and the dynamic, a bit Rush-inspired Nocturnal (great bombastic sound and strong soli on guitar and keyboards). Thanks to erik neuteboom for the artist addition.